I was planning a year-end tech wrap-up this week. My goal was to list the most popular topics and articles of the year for your reading pleasure. But, as soon as I opened our analytics dashboard, it was obvious that the most popular tech question for 2010 was … iPad vs. Kindle? So here is a slightly updated version of my most read, most shared, most forwarded article for 2010. Please accept my best wishes for a happy holiday and a peaceful and prosperous New Year. iPad vs. Kindle? This may not be the most burning question of our age, but it’s a pretty popular one. The answer is not as simple as the question, but here’s what you need to consider. Amazon’s Kindle 3, the small one with the six inch screen, is now $189 for the 3G version and $139 for the WiFi-only version. You need to buy a cover for it. You can buy the official leather one from Amazon for $34.95, but I suggest the official leather with a built-in light from Amazon for $59.95. Add sales tax and shipping and the whole package can be sitting in your mailbox for just under $200.00. 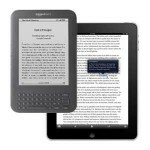 If you buy the he Kindle 3 (3G model for $189) it comes with automatic, free, network connectivity, so you can access the Amazon bookstore wirelessly at no additional cost. And, your periodicals such as The New York Times arrive each morning as long as you are in an area with cell phone connectivity. The least expensive Apple iPad WiFi + 3G costs $629, the official case is $39 and you will need a $15/month data plan from AT&T. (The iPad WiFi only model costs $499, and does not need a data plan. But, as the name suggests, it can only access the Internet through a WiFi connection.) An Apple iPad WiFi +3G with case, sales tax and shipping will arrive at your house for approximately $725.00 and you will spend $15/month ($180/year) for 3G connectivity. To try to level the playing field, I’m going to compare the Kindle 3 (WiFi + 3G) to the iPad WiFi + 3G. These two devices are just different enough to warrant a thoughtful decision. If you are thinking about purchasing the $379 Kindle DX, buy an iPad instead. The Kindle DX is about the size of an iPad and, if you are willing to carry a tablet that has a 9.7″ screen and weighs 1.5 lbs, the iPad wins hands down. The most important difference between an iPad and a Kindle 3 is the size. A Kindle 3 weighs about 8.7 ounces. Add a few ounces for the cover and it’s still very easy to hold in one hand. If you take it out of the case, you almost don’t know you’re holding it. The Kindle 3 has a workable keyboard with keys that are easy to one-hand and super-easy to two-hand. You can type as quickly on a Kindle 3 as you can on a BlackBerry. This is great for searching and annotating. The second important difference between the two units is the display. The Kindle 3 uses e-ink, a special black and white display that requires an external light source (just like a book). This is perfect on a beach, great in a plane, train, taxi, etc. It’s excellent at your desk or anywhere you have a good light source. You can clip a light to the Kindle 3. I do it often. However, the best Kindle reading experience requires exactly the same lighting conditions you would need for a paper book. Some say that reading e-ink is easier on your eyes than reading a computer display (like the iPad). I find that I can read my Kindle 3 for hours on end with no more eye fatigue than I would get from reading a paper book. However, the iPad’s display is perfect at night when I’m in bed. I don’t need to turn on a lamp and if I fall asleep while I’m reading, the iPad just turns off (I have the auto-lock timer set for 2 min). If you are looking for a dedicated e-reader, the Kindle 3 is so comparatively inexpensive, it’s hard to justify not buying it. However, the iPad is much, much more than an e-reader. It is heavy (by comparison) 1.6 lbs. The official case adds no more than a few ounces. To be honest, the Kindle app for the iPad is a better experience than the Kindle software running on a Kindle. It’s in color, it’s fast and it is a joy to use. iPads do a pretty good job with email, word processing, web browsing and about 100,000 other things thanks to the Apple App store. So it’s hard to say “just” what the iPad can do. Some people say that the iPad is “not better at anything” than a laptop computer. I agree. If you compare the raw features of an iPad to the raw features of a laptop, most laptops will win. However, that’s not the decision we are contemplating here. iPads change the way you do life. You will take your iPad to bed with you and you may not turn on the TV – an unexpected behavior change. So, which to buy? If you have a good laptop and you are looking for a dedicated e-reader that will give you thousands of hours of reading pleasure, spend the $200 and throw a Kindle 3 in your briefcase or purse. It’s awesome, light and relatively inexpensive. If you are not a power computer user or road warrior and you are thinking about e-reading as only one of a 300,000 apps you might have a use for, the iPad is for you. Is there a reason to have both? Yes, I have both, here’s why. I spend a fair amount of time reading outdoors. The Kindle is light, rugged and cheap. It is perfectly suited for reading is extremely bright sunlight. If it gets a little sand or dirt on it, it’s no big deal. This is one tough little device. My iPad is way too expensive to abuse this way. I don’t want its screen scratched. I don’t want it caked with mud and I can promise you iPads hate to get wet. One last thing: I don’t have the iPad WiFi + 3G, I have the original iPad WiFi ($499 + the $39 case). I use a Verizon MiFi 2200 3G/WiFi hotspot to connect my iPad to the Internet. The MiFi 2200 costs only $59/month and it gives me Verizon 3G network connectivity for up to five devices at a time. In my case, that’s enough for my Laptop, my iPad and extra capacity for friends and family to connect. I’ve heard someone ask, “Do you want a carving knife or a Swiss Army Knife?” It’s an imperfect metaphor. Like I said, the Kindle App for the iPad is better than the Kindle experience on a Kindle. That being said, there’s a difference between being an e-reader and an iPad user … which one are you?